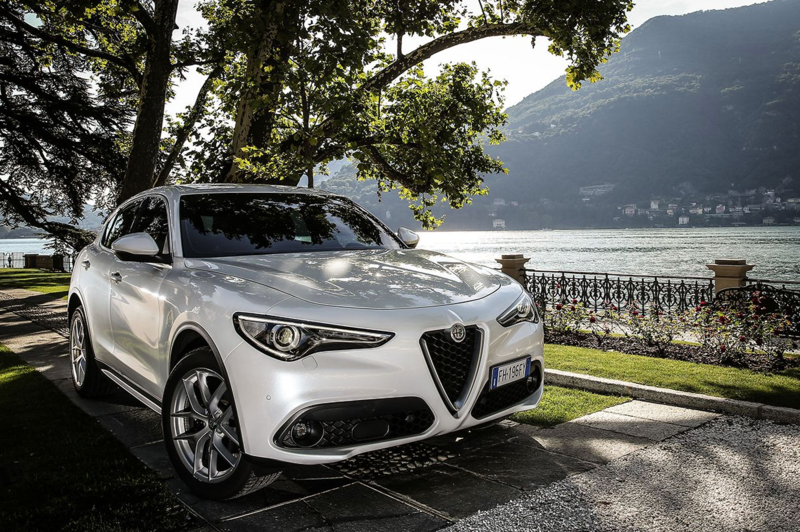 Following in the footsteps of the impressive Giulia saloon, Alfa Romeo has revealed pricing and specification details for its first ever SUV, the all-new Alfa Romeo Stelvio, with prices starting from €47,295. 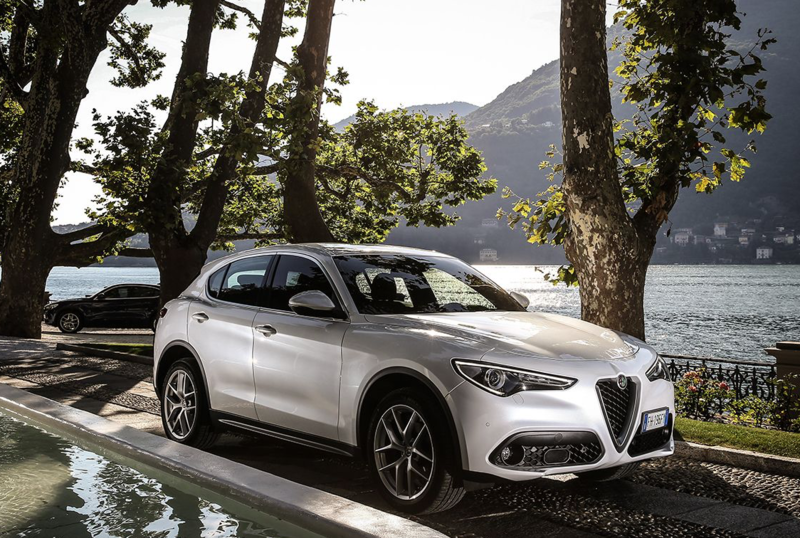 Featuring perfect 50/50 weight distribution, Alfa Romeo Q4 all-wheel drive architecture, best in class power-to-weight ratios and innovative engine and driver technologies, the Alfa Romeo Stelvio embodies everything a true Alfa Romeo should. Not only that, but the Alfa Romeo Stelvio can boast at being the lightest mid-size SUV in the sector thanks to its lightweight body structure and carbon fibre driveshaft, coming in at just 1,604kg for the 2.2-litre diesel 180hp RWD and up to 1,660kg for the 2.0-litre petrol 280hp Q4 AWD, only adding an extra 56kg for the all-wheel-drive system (AWD). At launch, drivers will be able to choose between two engine versions – 2.2-litre 210hp diesel Q4 AWD and 2.0-litre 280hp petrol Q4 AWD – combined with an ZF eight-speed automatic transmission as standard. 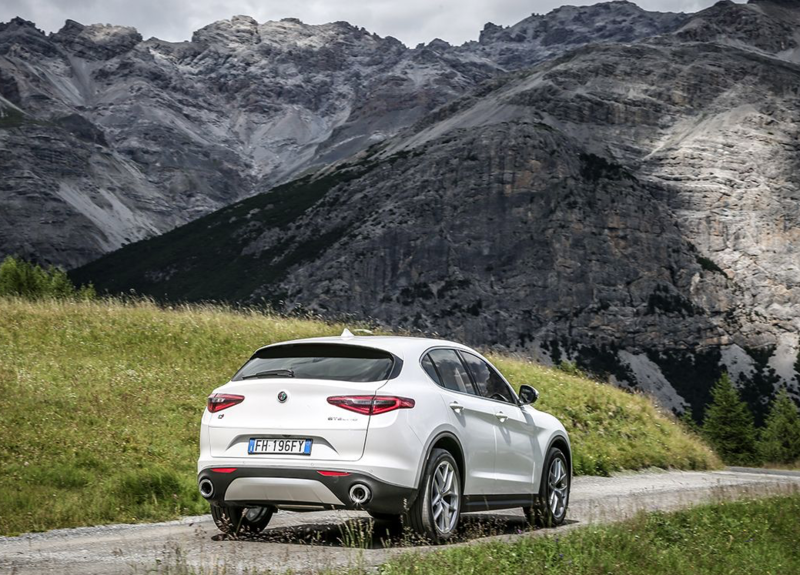 From October the Alfa Romeo Stelvio will also be available to order with a 2.2-litre diesel engine, producing 180hp and available in both Q4 all-wheel-drive or rear-wheel-drive, and a 2.0-litre petrol engine, with 200hp and Q4 all-wheel-drive. The 2.0-litre 280hp petrol Q4 AWD engine offers best in class acceleration, going from 0 – 100kmh in just 5.7 seconds and onto a top speed of 230kmh, while returning 7.0l/100km (40.4mpg)* on the combined cycle and emitting just 161g/km* Co2. The 2.2-litre 210hp diesel Q4 AWD meanwhile, gives out 127g/km* Co2 and returns 4.8l/100km (58.9mpg)* on the combined cycle, while still registering a top speed of 215kmh and accelerating from 0 – 100kmh in 6.6 seconds. 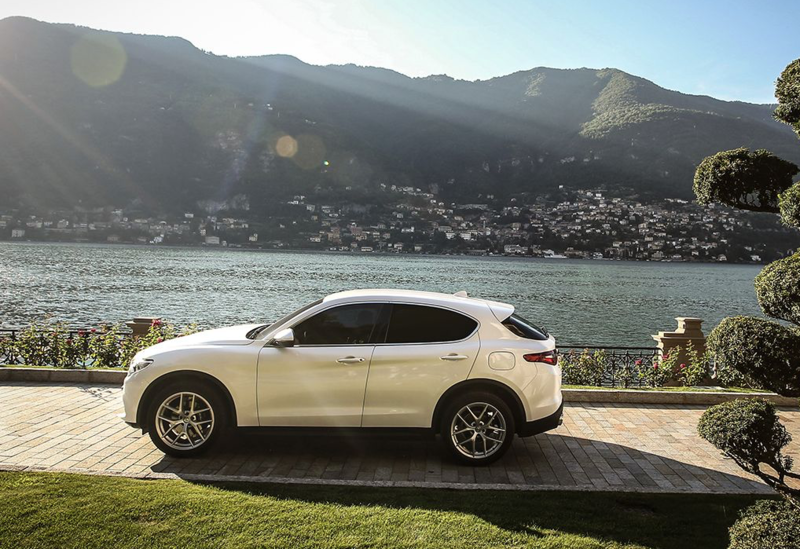 Finding the perfect balance between driving experience and safety, the Alfa Romeo Stelvio was recently awarded a coveted five-star Euro NCAP rating with a score of 97 per cent for the protection of adult occupants; the highest score in its category. Credited for its host of innovative safety systems, which come as standard across the full range, the Alfa Romeo Stelvio boasts Alfa Romeo’s segment-first Integrated Brake System, Autonomous Emergency Brake with pedestrian detection, Forward Collision Warning and Lane Departure Warning.